As we usher in another quarter of 2018, we can see that Singapore’s economy has seen a positive performance in the first three months of the year. Much of the lift has come from the trade-related sectors, where the main upswing was led mainly by the global electronics cycle. Being part of the vibrant economy, 3E Accounting Singapore has also seen some great achievements in March. 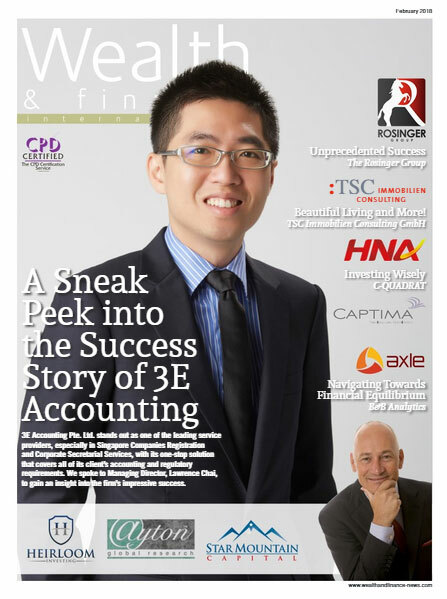 3E Accounting Singapore has attained prominence as a leader in the fields of Company Registration and Corporate Secretarial services through competence, competitiveness, and timely delivery with highest quality standards. In the time of advanced technologies, we continuously strive for innovation and enhanced efficiency. Offering services spanning a wide range of company incorporation and accounting fields in immigration/work pass application, virtual office, stamp seal maker, taxation, corporate secretarial, accounting, human resource, business advisory, business set up, cloud accounting software sale, 3E Accounting Singapore is the preferred choice for many clients because of our reliability and commitment to quality. We maintain a good reputation for serving our valued customers to their complete satisfaction through efficient management, which we continue to maintain with our steady and constant efforts. Setup Separate Company for Every Business: Boon or Bane? The positive economic outlook has caused the influx of entrepreneurs as well as the mushrooming of new companies in the country. While many entrepreneurs are working hard to keep up with the ever-changing business environment, strategic planning in business management remains important. One of the most-talked issues is “should we setup a separate company for every different business”? Often, diversification and risk mitigation are the key points in the consideration. Many companies adopt separate strategies for different parts of business due to the concerns of diversification and risk mitigation. On top of that, setting a separate company for different business in Singapore means more than that, and it could actually benefit you. In Singapore, business income will be taxed at a flat rate of 17 %. Having said that, there are tax exemption schemes available for companies (corporate tax rate at different tiers). On the first three years after incorporation, the newly incorporated company can enjoy the tax exemption for each of the first three years of tax assessment. The tax exemptions mean that the more companies you have the more tax rebates you can enjoy. Innovation has always been core to the value we bring, and that remains true until now. We’re proud to have you as our patrons, and we promise we will continue to serve you well! Read More in our E-Newsletter April 2018.